Can We Please Drive Passwords Into Extinction Now? Passwords are antiquated and insecure. Passwords are antiquated and insecure. It’s time to eliminate them altogether. Experts from FIDO explain how to enable authentication without passwords. The original version of this post was published in Forbes. 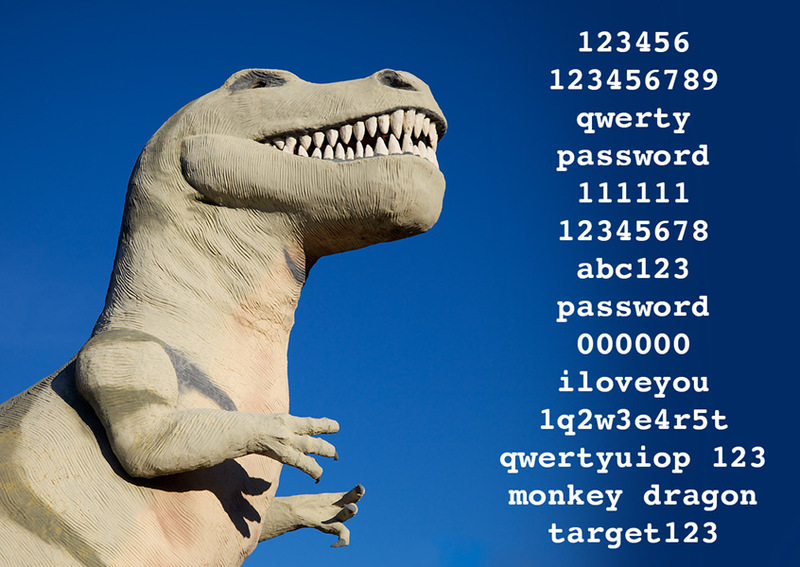 Last week, it wasn’t just “another day, another data breach.” It consisted of breaches that generated a large debate over passwords, providing yet more evidence that it is past time to make them extinct. The first came courtesy of Quora, probably the most popular Q&A site on the web. The company posted a notice of a “compromise” that affected more than 100 million registered users — an estimated third of its monthly user base. The other came from Citrix Systems, which forced a password reset for users of its ShareFile content collaboration service to head off what company CISO Stan Black said was not a breach of ShareFile itself, but evidence of “credential stuffing,” where hackers have stolen emails or passwords through other breaches try to use those credentials on other sites. This should never happen, of course, since we are all told constantly never to use the same password for multiple sites. But, as we all know, it does happen since just about everybody does exactly that. And it illustrates, once again, what numerous security experts have been saying for years: passwords are a lousy — really lousy — way to secure anything online, especially when there are now alternatives that are much better and, yes, even easier. In the case of the Quora breach, much of the speculation was about the level of encryption for the passwords. Multiple outlets reported that D’Angelo had first written in his blog post that the passwords were simply “hashed with a salt that varies for each user,” but after critics pointed out that a simple hash wouldn’t offer much protection, D’Angelo’s revised his post and said that the passwords had been “hashed using bcrypt,” which would make cracking them much more difficult. In the case of Citrix, Black’s declaration that “We moved quickly and decisively to end (a credential-stuffing attack) for the benefit of our users,” along with a notice that the company will be “incorporating a regularly scheduled forced password reset into our normal operating procedures,” got some major blowback from users who weren’t feeling the benefit. They noted that it is no longer considered best practice to change passwords for no reason other than that a few months have gone by. And security guru, author, blogger, and CTO of IBM Resilient Systems Bruce Schneier took extreme issue with a recent column in USA Today that recommended changing passwords every six months. “No, no, no — a thousand times no,” he wrote on his blog. The reason? As experts have been saying for years, when people are forced to change their passwords regularly, they tend to use weaker ones. They make small changes to the old ones, which ends up making security weaker, not stronger. But such squabbles wouldn’t be necessary if we weren’t using an authentication method that is demonstrably broken. This is why numerous experts have called for eliminating passwords—the FIDO (Fast IDentity Online) Alliance has been promoting that since 2012. Indeed, of the three most common authentication factors — something you know, something you have, and something you are — the weakest is something you know, since an effective phishing attack can trick a user into giving it away. The fundamental problem, he said, is an authentication system based on “shared secrets,” where things like passwords are known by both parties of a transaction. That, he said, is the model promoted by both NIST and FIDO. Of course, another reality (which McDowell acknowledges) is that users will reject better security if it costs them even a few seconds of extra time. “While hard numbers are hard to come by, anecdotally most services that offer 2FA using OTPs as a second layer of protection will be doing incredibly well if they get 10 percent of their users to opt-in,” he said. But he said the campaign to eliminate passwords has taken that into account. He said the cryptographic key model is both easier and faster than a password. “Users of FIDO-enabled devices simply verify themselves to their personal device, and then, that device cryptographically signs authentication challenges from the online application,” he said, adding that the user can do that with a single gesture — a fingerprint, looking at a camera, or speaking a passphrase — obviously much easier than tapping a password into a tiny device. Another reality, however, is that even the best authentication system in the world won’t gain much traction unless the major online players adopt it. This may explain why, six years since FIDO launched, passwords still prevail. And he said that is happening — they are already built into the latest versions of Windows 10, Google Play Services on Android, and the Chrome, Firefox, and Edge web browsers. And as reported just last week, Apple has shipped FIDO2 support in its latest developer preview version of the Safari web browser. That would be welcome, and long overdue. Social, Passwordless and SSO Data: What Can We Learn?